Just one male pup left out of the two litters. He is showing signs of wanting to work. Very smart. Could go either direction- a working dog or a great companion do, or both. 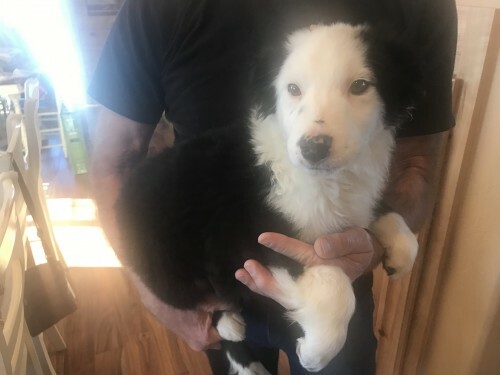 He was born October 10, 2018 so he is more than ready to find a good home. He is a little slicker coated than some Shags but still a pretty boy. I can see a lot of potential in him. Let me know if I can answer any questions. I can provide references if requested. Last two pictures are mom and dad. Thank you!